Companies that rely heavily on sedan sales are in for a tough time as the American market shifts hard towards SUVs and trucks. That means Toyota’s new 2018 Camry and the new 2018 Honda Accord (which launched last week) are going to have to be better than ever to maintain their sales figures. Even then, Detroit Free Press reports, it’s going to be a struggle. Not even the most optimistic executive believes the new cars will maintain sales, much less recover to their historical levels. 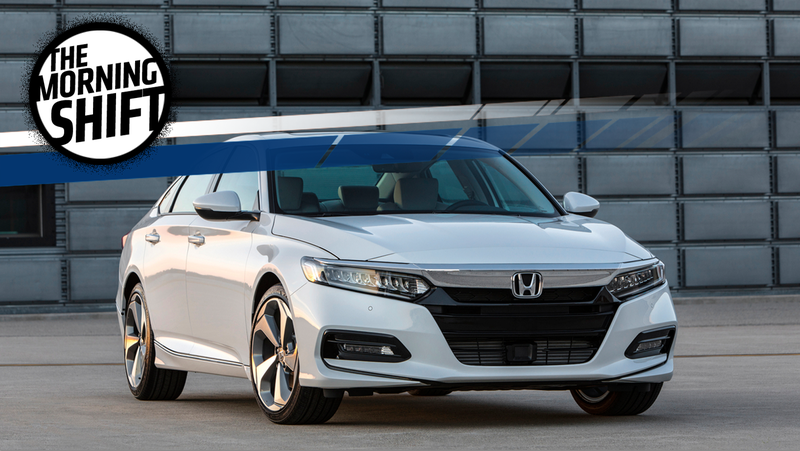 Victory for the Accord and Camry consists of managing the decline, surviving as other competitors drop out. Last man standing wins. That’s not to say the two companies are hurting too badly, as Honda and Toyota saw nice sales gains in June thanks to their investments in trucks. And it’s also worth noting that these two juggernauts sedans are in a much better place than smaller players (among them, The Detroit Free press mentions the “Kia Optima and Cadenza, Chevrolet Impala, Ford Taurus, Hyundai Sonata, Nissan Maxima, Toyota Avalon and VW Passat.”). Some of these makers of lower-volume sedans may pull a Fiat Chrysler and ditch the midsize segment entirely. The 2018 Camry and Accord are a big deal, as they will fight to keep the midsize car segment afloat. They have a huge job ahead of them. The idea of tariffing foreign exports may seem like a good idea for American industry, but—as we’ve highlighted before when discussing President Trump’s proposed auto tariffs—effects on consumers can be dramatic. That holds true not just for finished products like cars, but also for raw materials like steel, which automakers use to build the majority of their cars. They’re dumping steel and destroying our steel industry; they’ve been doing it for decades, and I’m stopping it...It’ll stop...There are two ways – quotas and tariffs. Maybe I’ll do both. [A] protective tax on imported steel would give makers of domestic steel the incentive to raise their prices – just because they could. That would be a boon for the domestic steel industry, but it would make U.S.-made cars more expensive and push consumers to buy cheaper cars from foreign companies unaffected by the tariff, economists say. It’s yet another reminder that tariffs on imported goods have far-reaching unintended consequences. French car company Renault just shared results for the first half of 2017, and things are looking good. Very good. In that period, the company sold 1.88 million vehicles, representing an increase of 10.4 percent over the first half of the previous year, Reuters reports. That increase, according to to the news site, is approximately four times that of the global auto market. Clearly, Renault is doing something right. Among the things it’s doing right, Reuters says, are “comprehensive” vehicle overhauls and expansions into strategic markets. The benefits from these moves can be seen in nearly all of the company’s brands. Dacia, the company’s Romanian budget-brand, for example, saw a 9.3 percent sales increase in Europe thanks to its revamped Sandero (one of the least expensive new cars in Europe) and the new Captur small SUV. Even the company’s Lada brand saw a huge sales jump in Russia (14 percent, compared to 6.9 percent overall grown in the Russian market for the first half of the year) thanks to new models in the lineup. As far as movement in key markets, Renault’s recent push into Iran has now yielded double as many sales in the market as the same time last year, now reaching 68,365. and sales in the Asia-Pacific region were also impressive, at 100,452 (thanks in part to demand for the new Renault Koleos SUV), Reuters reports. On top of that, the news site says overall demand in Russia and Brazil is supposed to go up by over 5 percent for the year. All of this sounds great, and hopefully it means the world will get more from the company’s Alpine brand. The expensive new A110 looks great, but how about a cheaper revamped version of the GTA for the U.S. market? Please? 4th Gear: We Still Have Too Many Cars In The U.S. In December of last year, we wrote that America has a glut of unsold new cars, and seven months later, that’s still true. U.S. car stocks are almost at record highs, Automotive News reports. This high tally of unsold cars is especially true for General Motors, as the news site says the company’s inventory has gone up by 39 percent since July of last year, with nearly a million unsold light duty vehicles as of July 1 (the total U.S. inventory is at just under 4.2 million). Total U.S. inventory has grown by over 350,000 cars as compared with last year, and of that, Automotive News says, over 270,000 cars belong to GM. It’s worth noting that GM has said it is increasing its stock of cars in anticipation of plant shutdowns, though Automotive News points out that the company “expected stocks to begin falling and be down to about a 90-day supply by July 1" and continues to maintain that a 70 day supply is on track by the end of the year. As of July 1, automakers had a 74 day supply of cars, the highest ever for that date, and above July’s historical average of 60 days, Automotive News says. With heavy incentives and high inventories, now could be a solid time to buy a new car. Automotive News has a great story about Ford’s Michigan Assembly plant, a facility whose assembly line has cranked out everything from station wagons to hybrids to pickup trucks. The plant, Automotive News writes, acts as a “case study in how automakers adapt to changing market demands,” a statement backed up by Ford’s decision to replace the plant’s current products—the Ford Focus and C-Max—with the upcoming Ford Ranger and Bronco set for 2018, a move following the market’s push away from small cars and towards larger trucks. Go ahead and hop over to Automotive News to read all about how the plant started in the ’50s as the Michigan Station Wagon Plant (satiating American families’ desires for the huge boat-like family haulers), then built F-100 pickups and Ford Bronco SUVs in the 1960s, then took advantage of America’s obsession with SUVs in the 1990s by building Lincoln Navigators and Ford Expedition, and finally changed to Ford Focuses and C-Maxes after getting hit by the crazy gas prices in the 2000s. Starting at the end of the decade, the Focus will be built in China, and who knows what will happen to the C-Max. As for Michigan Assembly plant, it will start cranking out what Americans yearn for, just has it has all these years. Neutral: Will The Midsize Sedan Segment Plateau Soon? The Camry and Accord are two of the best-selling cars of all time, but mid-size sedan sales are in a tailspin. Could our desire for beefy CUVs spell the end of Accord/Camry dominance on American roads?